Satisfying the increasing demand for high data rates has become a main challenge for cellular network operators. Moreover, the demand for video traffic in cellular networks has been continuously increasing. In 2016, wireless video accounted for more than half of the total mobile data traffic, and it is expected to further increase in the upcoming years. This will increase the amount of data to be transmitted in cellular networks, and further increase the challenge for cellular network operators. Device-to-Device (D2D) communication, introduced by the Long Term Evolution-Advanced (LTE-A) standard, is a new communication technique that allows direct communication between devices in cellular networks without going through the Base-Station (BS). 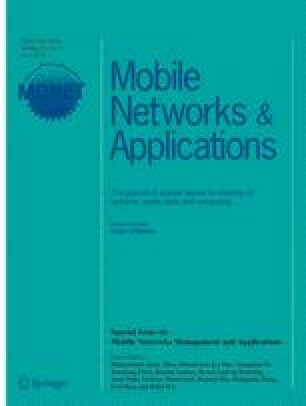 We present two algorithms for improving the throughput of video transmission in cellular networks. The algorithms are called Cached and Segmented Video Download (CSVD), and DIStributed, Cached, and Segmented video download (DISCS). The algorithms send segments of video files to selected User Equipments (UEs) in the cellular network, to cache and forward them to requesting UEs using D2D communication. We study the performance of both algorithms analytically in terms of the hit ratio. Furthermore, we use the Discrete EVent System Specification (DEVS) formalism to build an LTE-A network model and use the model to study the performance of CSVD and DISCS in terms of the cell’s aggregate data rate as well as the average data rate. Simulation results show that CSVD and DISCS achieve significant performance improvements in terms of the aggregate and average data rates. The authors would like to thank Gary Boudreau and Ronald Casselman from Ericsson Canada for their valuable assistance during this work.